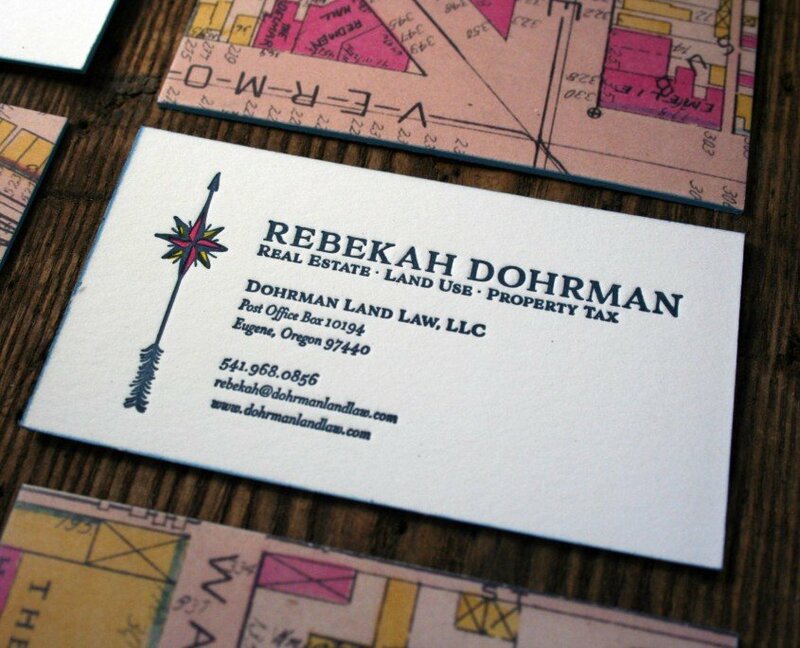 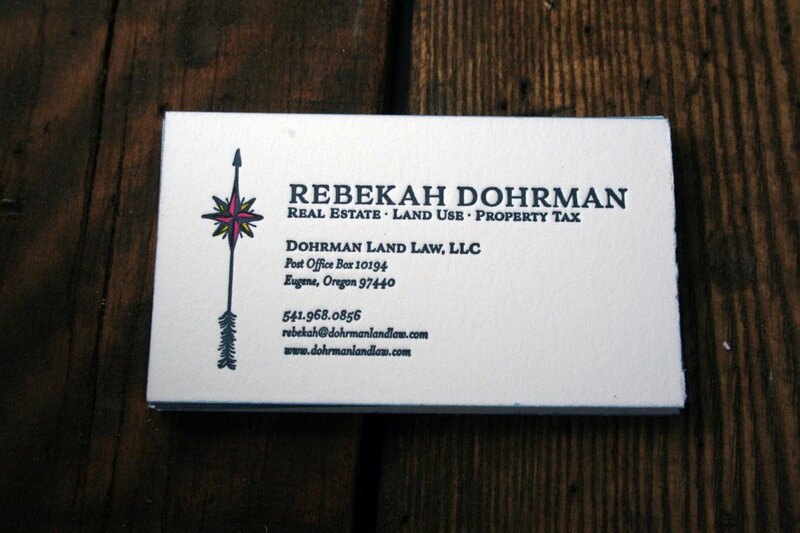 Dohrman Land Law, LLC, located in Eugene, Oregon, specializes in real estate, land use, and property tax issues. 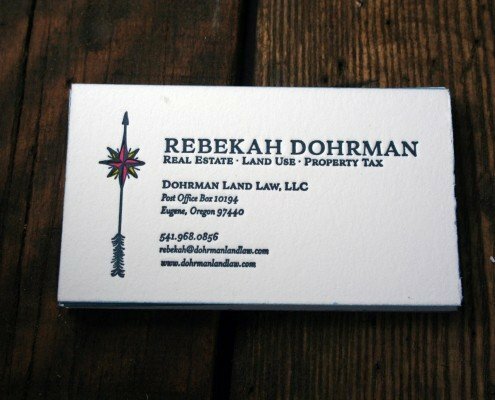 Prior to opening her own law practice, principal, Rebekah Dohrman, worked as in-house counsel for a national title insurance company and a research & advocacy organization focused on local government issues. 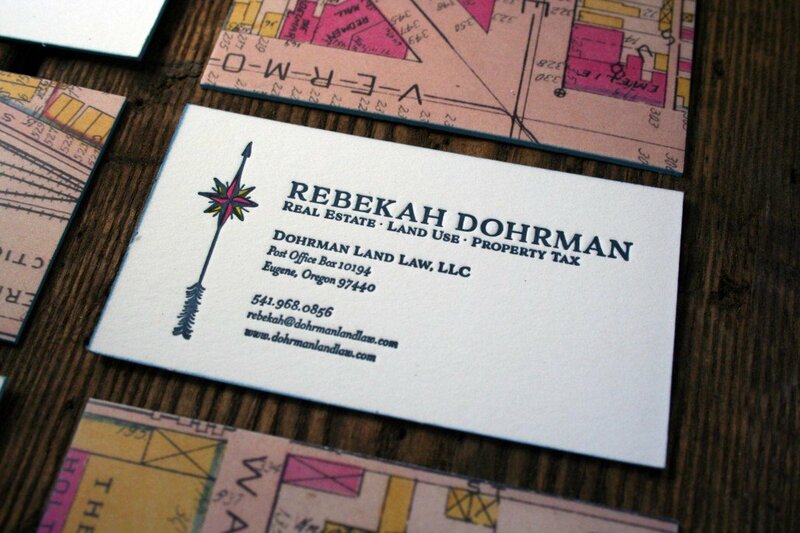 She also has experience working in local government as a Development Analyst and Land Use Planner. 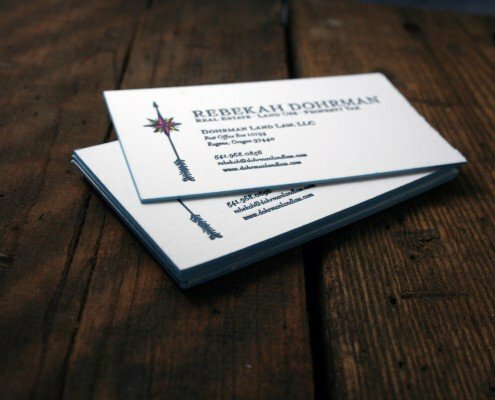 Twin Ravens Press was very excited to work with Rebekah on her rebranding project which involved logo design as well as the design and printing of several business stationery pieces including her business cards, letterhead, and envelopes. 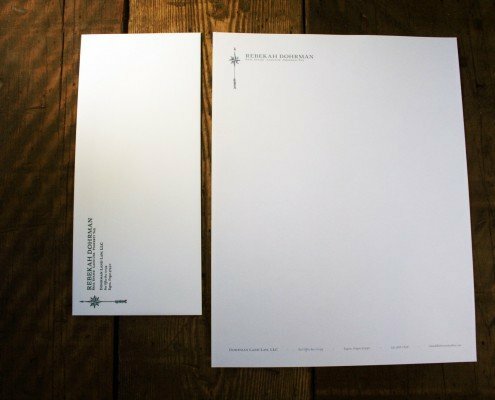 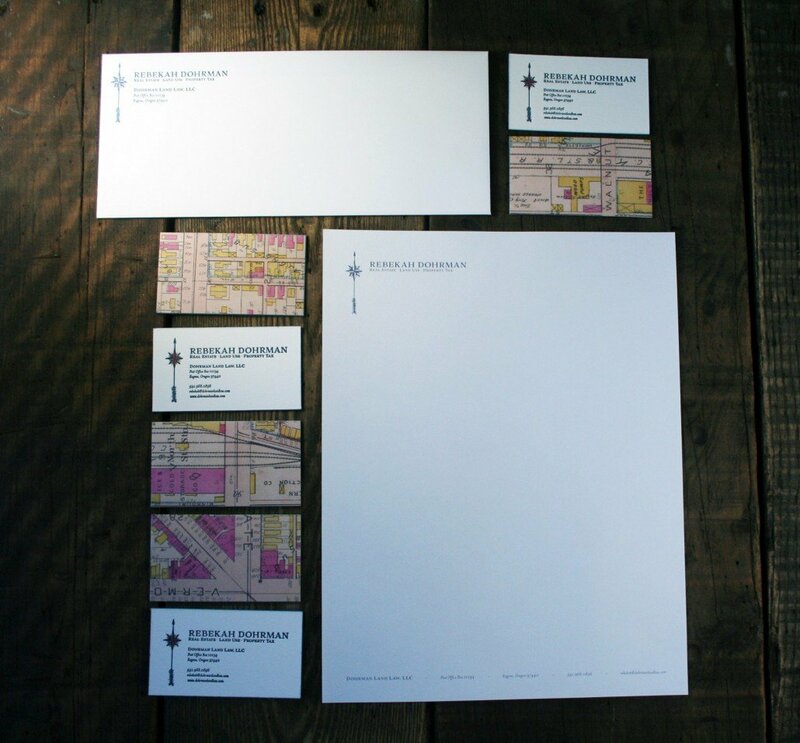 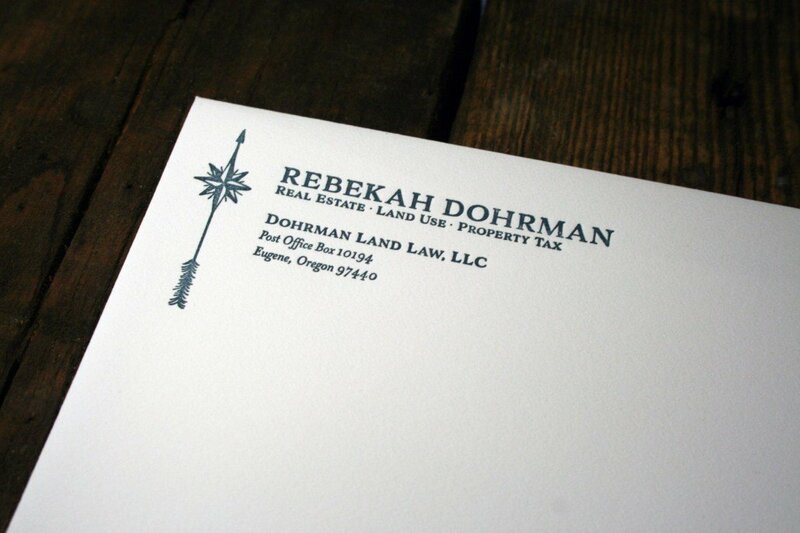 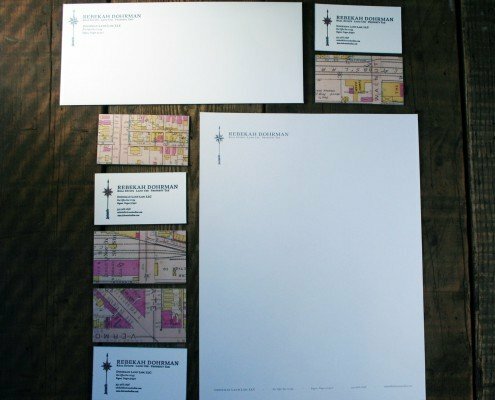 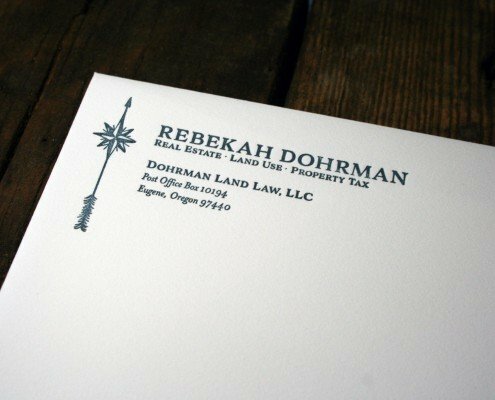 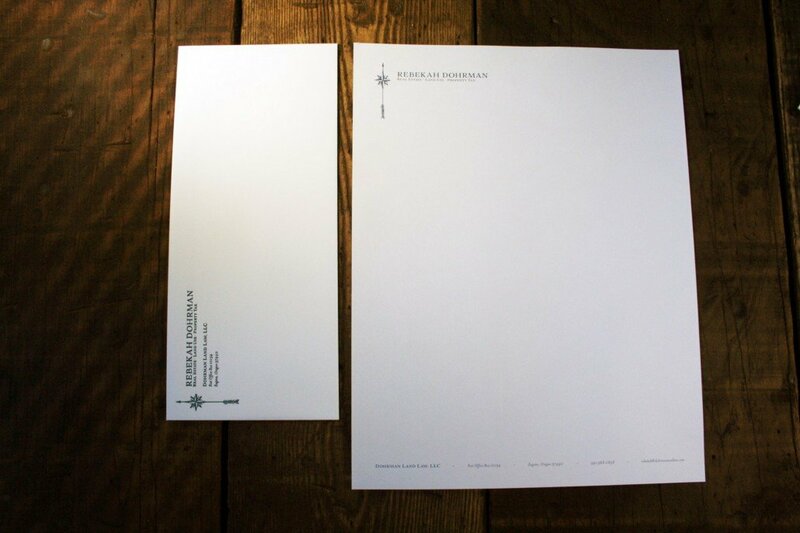 Rebekah’s letterhead and envelopes feature one ink color on 100% cotton paper. 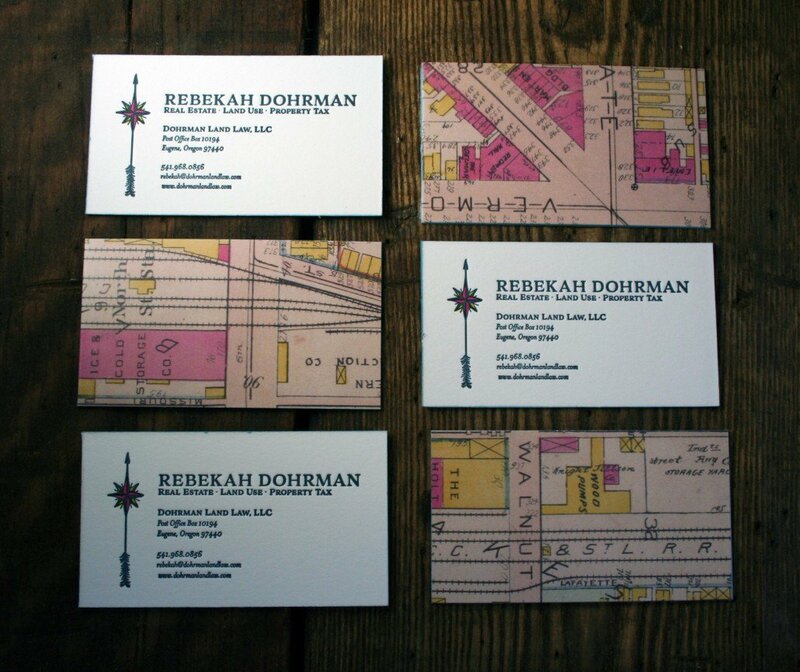 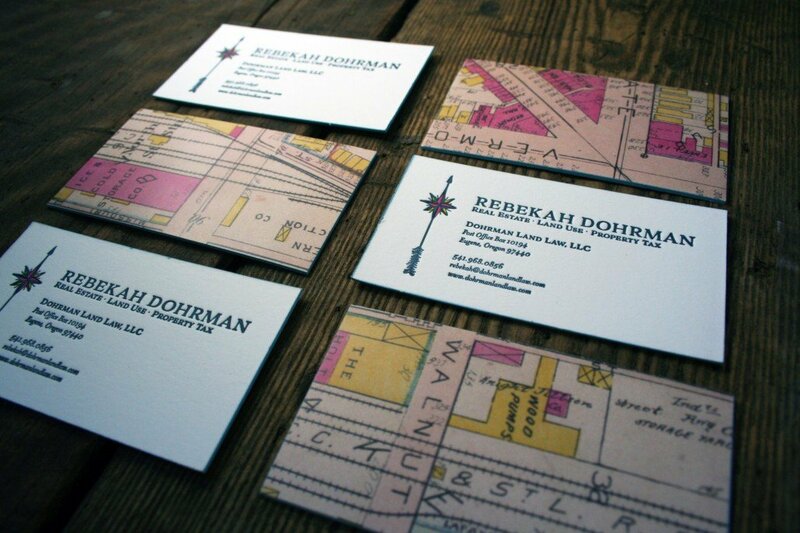 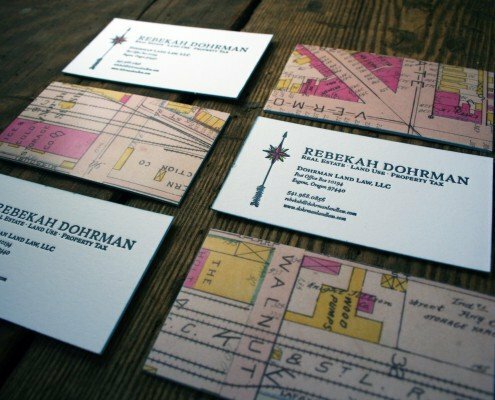 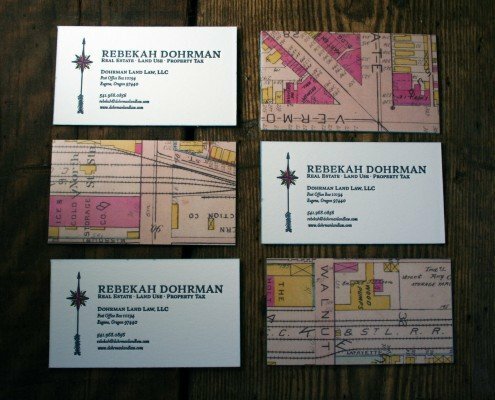 Her business cards are a custom duplexed paper featuring letterpress printing in three ink colors on one side and variations of a piece of vintage map which is offset printed on the back! 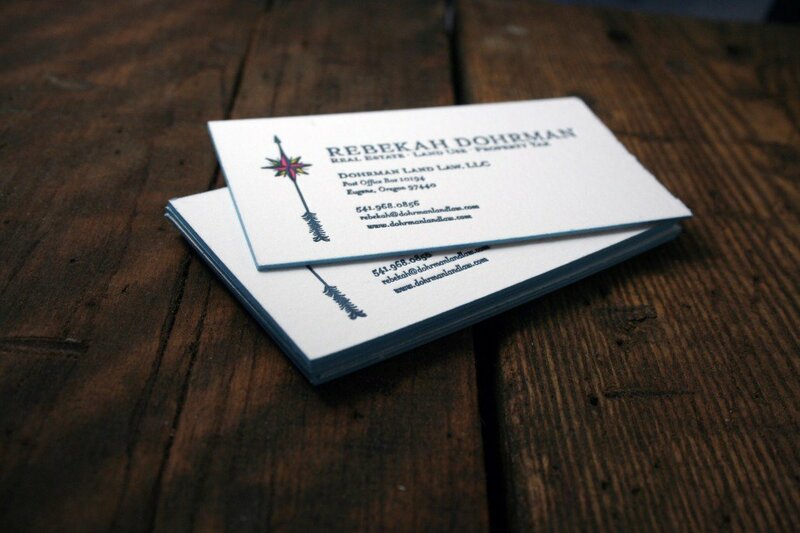 All of her cards feature light blue edge painting to really make them stand out even more!